Last Sunday morning the wonderful members of the Bei Loon Dragon Boat Club and the Pittwater Pinks at Bayview treated us to one of their practice sessions. You can see the fun and find out more about some of the history and details of dragon boat racing (what’s a Sweep, what are the strokes etc.) in our celebratory Pictorial of these folk. 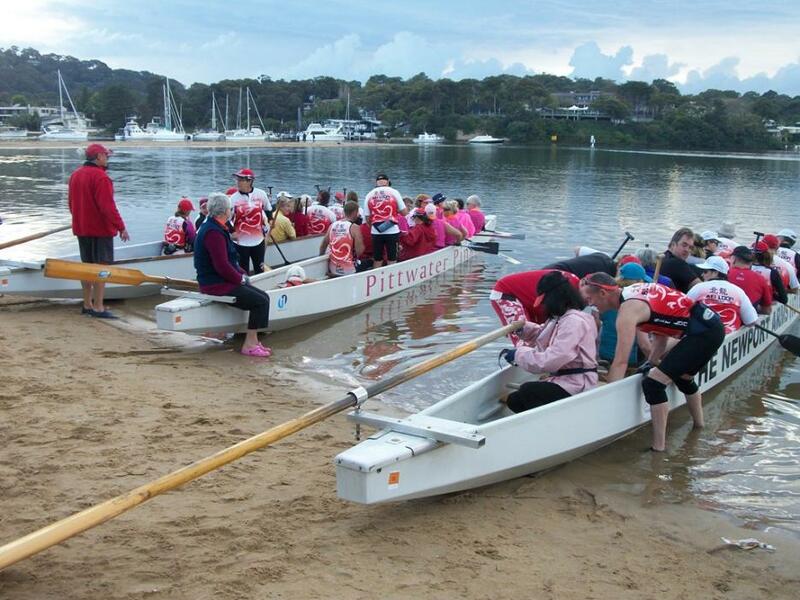 Dragon boat racing is an ancient team sport and its current Pittwater group is not only a great way to get exercise there’s also a social and health restoring aspects too. 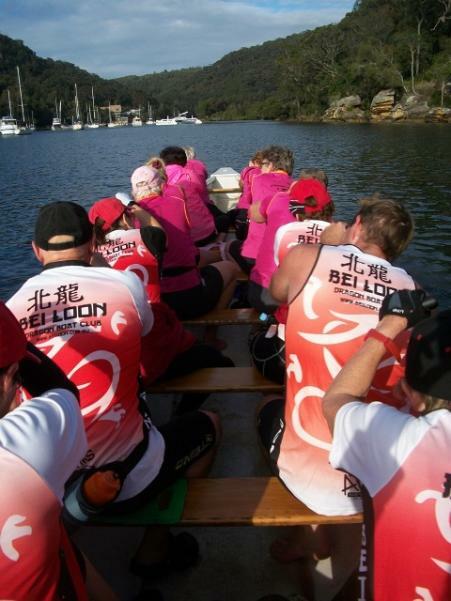 As Jenny, one of the Pittwater Pinks girls told us, Bei Loon and dragon boat exercise as a sport promotes a “Strong Mind and Strong Body”; the two equal and create each other. The Bei Loon Dragon Boat Club in Bayview train from Rowland Reserve every Sunday morning at 8am. The Dragon Boat club is sponsored by the Newport Arms Hotel (Also known to the club as the ultimate club house). Bei Loon (Chinese for Northern Dragons) is made up of several teams from Premiers 18+ to Masters 40+, Grandmasters 50+ , Great Grandmasters 60+ and a team for Breast Cancer Survivors called Pittwater Pinks. The Pittwater Pinks stem from a now worldwide phenomenon of Pink Lady dragonboat teams that began with Dr. Don MacKenzie, a British Columbia exercise physiologist who found that women facing the challenge of breast cancer benefit from exercise during and after their treatment, particularly upper body exercises. In the Bei Loon club no experience is necessary for new paddlers as the club trains everyone from scratch, but it is always a bonus if you have a sense of humour. New members are always welcome. The racing season runs from September to April but the club is open all year round. (although training over winter is a little more social than during the summer racing season). The club has held many titles from State to National Champions but still remains one of the friendliest Dragon Boat clubs in Australia. For more details the club, their website is www.beiloon.com.au or Phone 9982 8000. New members are welcome to just pop down and try the sport out any Sunday at 8am. Just wear shorts and a Tee shirt and bring a water bottle. Training paddle and boats are all supplied. The club runs two Twilight sprint races each year for local novice corporate and School teams. The races are in December and February. If your company or school is looking for an adrenalin fun team building activity, then log onto their website for more details. If you like travelling you will love Bei Loon, every year the club travels overseas to locations like NZ and Hawaii. All trips are optional but highly recommended. How did the Bei Loon Dragon Boat Club begin ? Bei Loon was started by Wendy and Glenn Smyth (Head Coach) as a small group of family and friends (20 members) back in 2004 but grew to over 200 members 3 years later. You have teams in ages beginning from 18+; who do they compete against ? The club enters race days once a month over summer and enters around 15 teams each race day. We race in divisions based on age. 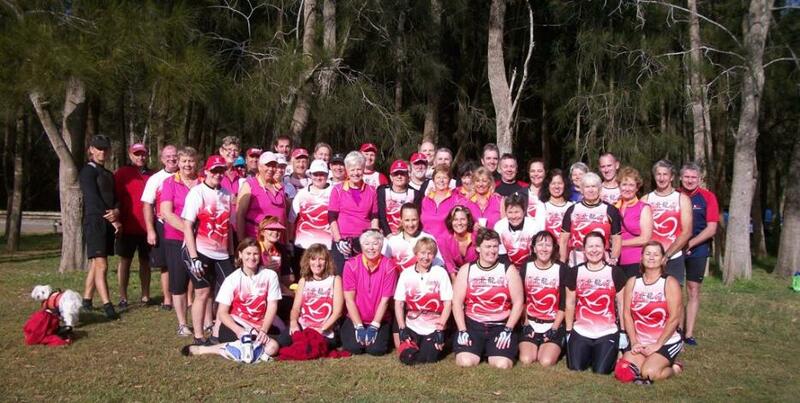 Premiers 18-30 years Masters 40+, Grandmasters 50+ and the Pittwater Pinks who are breast cancer survivors. There is a under 23 division but at this stage the club does not have members under 18. We do however encourage complete teams from schools to join us (with teacher or parent supervision). The Club has held many titles in State and National Championships, could you give us some examples of these ? 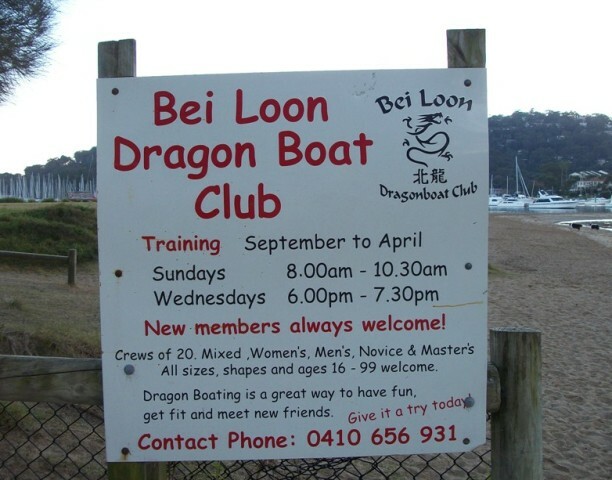 The Bei Loon Dragon Boat Club dominates the Masters division in NSW and has won many titles at State and National level mostly in the Masters Mixed, Women’s and Men’s divisions. The club has competed at National level in Perth 2009, Caloundra QLD 2010, Adelaide 2011, Melbourne 2012 and in 2013 will compete at Penrith in Sydney. The most memorable National event would have to be Caloundra. The club had 125 participants make the trip (100 paddlers and 25 supporters). We packed out an entire camping ground and holiday units in the one street. It was like moving a small army. We came away with Gold and Silver medals every day of the 4 day event. The Pittwater Pinks is for Breast Cancer Survivors. How do they help/empower or heal those who join them ? 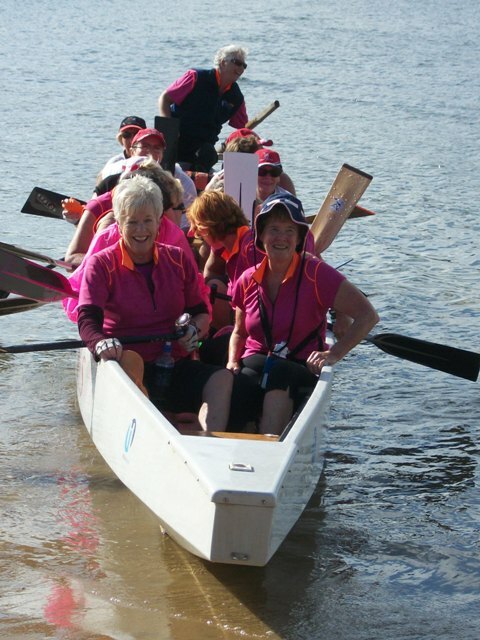 The Pittwater Pinks are a fantastic group of ladies who get out on the water and enjoy life after cancer. They don't dwell on the past but make the most of their new future. A lot of the survivors have never been involved in group sports before let alone ongoing physical activity but it doesn’t take them long to catch the dragon boating bug and build up their fitness and friendships. 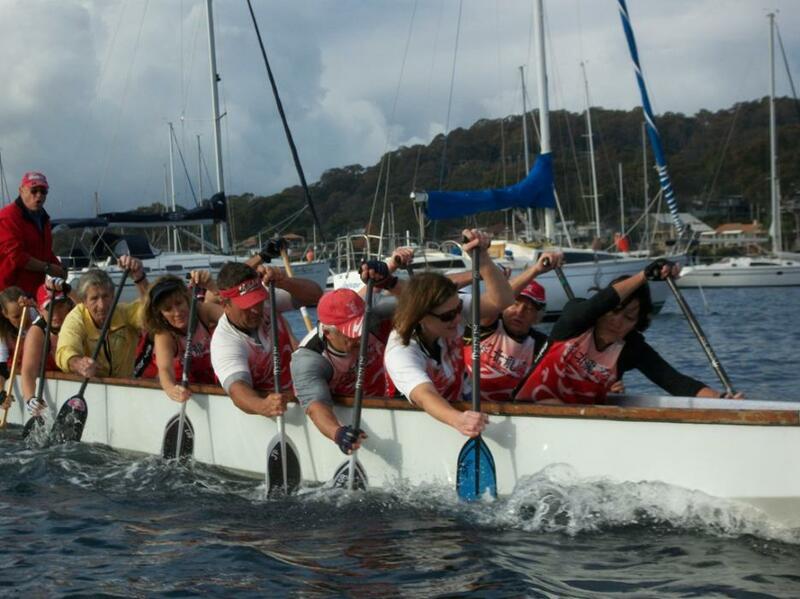 The Pittwater Pinks have many events off the water as well which helps with the camaraderie. They compete as a team on race days and sometimes also join Bei Loon in the mainstream boats. What is the Club's favourite place/s in Pittwater and why ? The clubs favourite place in Pittwater has to be the Newport Arms Hotel. Not only are they a great sponsor but they allow us to use their wonderful premises as a club house. On the water, the club paddles to McCarr’s Creek, and sometimes around Scotland Island if the weather is good. Some members also do a practice run to and from Lion Island on occasion. What is the Club's 'motto for life' or a favourite phrase it tries to live by? The clubs moto is "Do your best for your team mates". P&P - Paddle and party. The Club has a RTP - Regular Travel Programme. We love to travel. This year the club are off to Hawaii, but we regualry travel to New Zealand to paddle in the Wellington Dragon Boat Festival www.dragonboat.org.nz which Bei Loon Founder Wendy Smyth runs. Corporate Days: The Bei Loon Dragon Boat Club run corporate days and can cater for up to 120 people. Boats, paddles, life vests, Boat steerers, coaches and lunch or dinner are all supplied. Phone 9982 8000 for more details. We thank Wendy Smyth and Head Coach Glenn Smyth for their assistance in putting this insight together and all the lads and lasses we met for filling in the blanks and for the rush it was to be in one of their boats. Great fun, great people! Copyright Bei Loon Dragon Boat Club, 2012. All Rights Reserved. All Images by A.J. Guesdon.